Golf East 2009 18 72 7002 50 minutes from downtown. 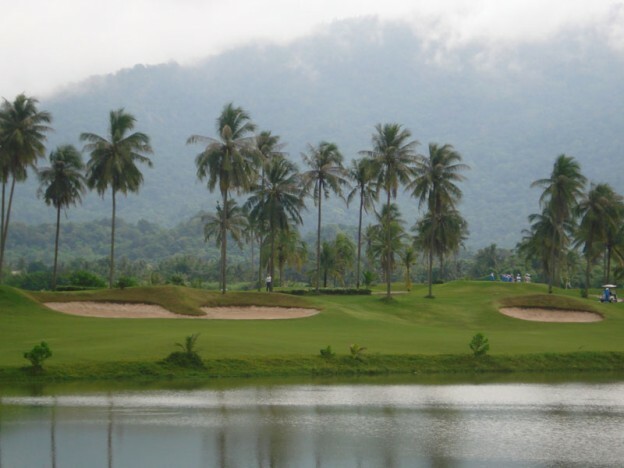 Pleasant Valley Golf & Country Club is located within the mountains north of the city of Pattaya and is cooled by the breezes blowing across the golf course, the Khao Kheow National Park with lakes and waterfall are located only a few minutes’ drive from the club house. This well designed course is more challenging than most other Pattaya golf courses, several holes play alongside and through natural reed filled swamps and ponds that cross the fairways, poorly hit golf balls often end up in these waste areas. The course is easy to walk as most elevation changes are internal built up areas rather than larger natural hills that are found at nearby courses, modern facilities round out Pleasant Valley making this Pattaya golf course a good choice for most. The course has an well appointed clubhouse and an excellent restaurant providing a wide range of food both Thai and International.